When I notice the air is clear and the night view is beautiful, I realize winter has come. The other day, I went to Fugetsuro in Shizuoka to attend the Japanese chess match for female championship hosted by Ricoh. 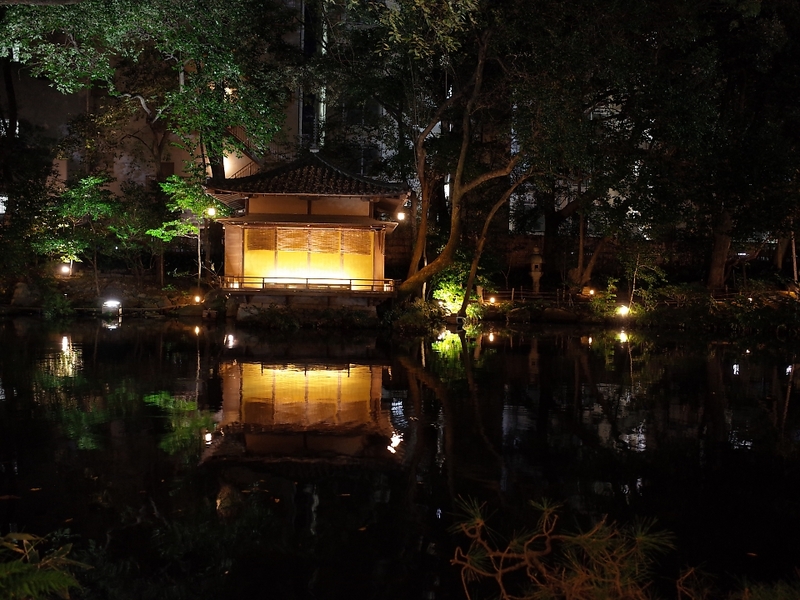 Since the place used to be the residence of Shogun Tokugawa Yoshinobu, the garden was fascinating. The tea room by the pond. It was near the station but was a totally different world from the rest of the neighborhood, where there were lots of buildings. Hazenoki (wax trees) on the site were beginning to color. 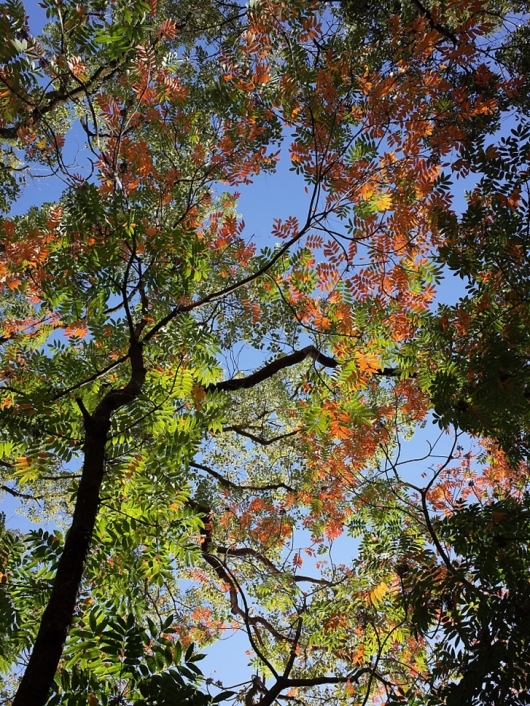 It should be so beautiful in the time of autumn leaves. Christmas decoration and illumination were everywhere in November and December. It is the season when the town is the most photogenic. 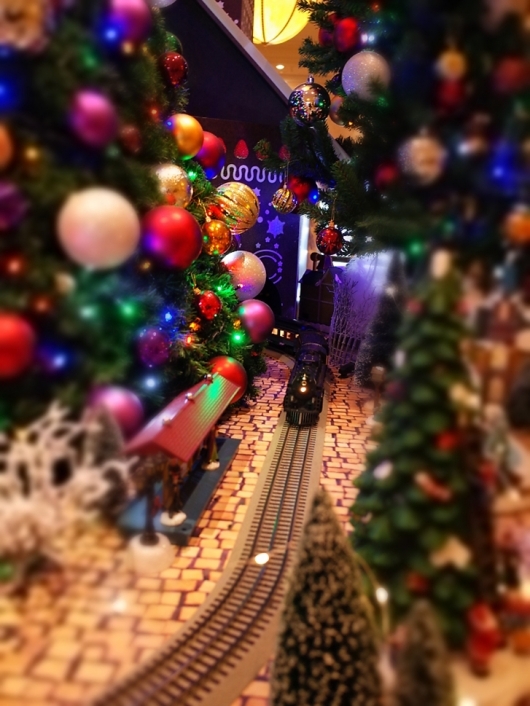 I tried photographing a model locomotive running under the big tree in Miniaturize Mode. 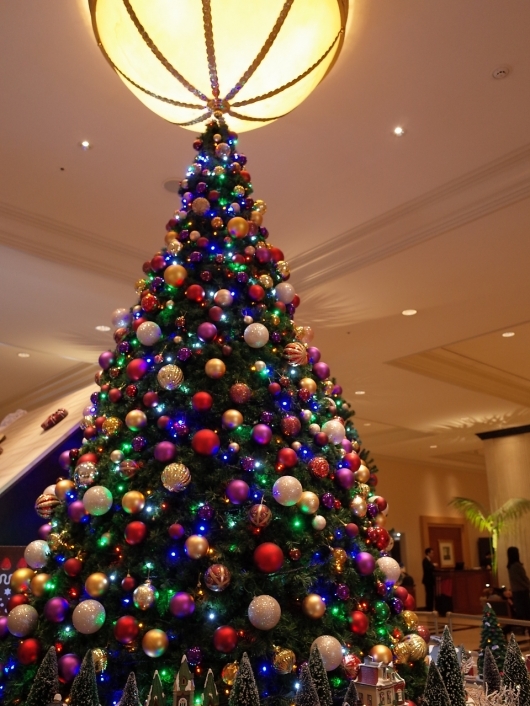 The tree belonged to the hotel lobby in Nagoya Station. I visited Shizuoka and Nagoya for about a week. When you have a lot of luggage, isn’t it quite troubling to decide whether to take your battery charger or not? The GR III is capable of charging directly through the USB Type-C port. It is very helpful that you can use the same cable as your smartphone. It’s much more convenient for traveling.